Neither a direct sequel nor a true remake, ‘Ghostbusters’ takes a cue from the newest Star Wars movie by taking brand new characters and surrounding them in all too familiar territory. And it works for director Paul Feig just as well as it did for JJ Abrams. While the plot isn’t novel, following the same story beats of the 1984 original, the comedic chemistry between Kristen Wiig, Leslie Jones, Kate McKinnon and Melissa McCarthy brings fresh air into the old franchise. The film immediately offers up the sort of rapid fire, deadpan quips that should put nervous fan boys at ease. We are treated to a cold open of Zach Woods (‘Silicon Valley’) guiding a tour through an historic haunted mansion that boasts of such then-modern conveniences as a “face-bidet” and an “anti-Irish fence.” Like its predecessor, ‘Ghostbusters’ is filled with quotable one-liners. McCarthy and McKinnon’s characters get off to a rocky start, initially coming off as juvenile and mean-spirited. But once the necessary groundwork is laid and the ladies are suited up, the rough edges disappear. The SNL pedigree and camaraderie of the main cast does the heavy lifting in the film and they are given plenty of room to play off of one another. Jones and McKinnon on their own may have been an overload of quirk, without Wiig’s straight man (…err, straight person?) to keep them grounded. Surprisingly, McCarthy takes a more understated approach letting all but a few scenes of slapstick fall on the shoulders of Jones and Wiig. It’s to the writers’ credit that they avoid making the new crew surrogates for the old. Despite some similarity in appearance to the cartoon version of Egon, McKinnon’s mad scientist engineer would have flustered and frightened off Harold Ramis’ character long before the first ghost was busted. And despite both being the lone black and blue-collar team members, Jones portrayal of a gregarious, well-read history buff who volunteers to join the “club” shares little in common with Ernie Hudson’s no-nonsense “just here for the paycheck” Winston. The film may pay near-constant homage to the Ivan Reitman original, but it’s careful to maintain its own identity in the Ghostbuster universe. 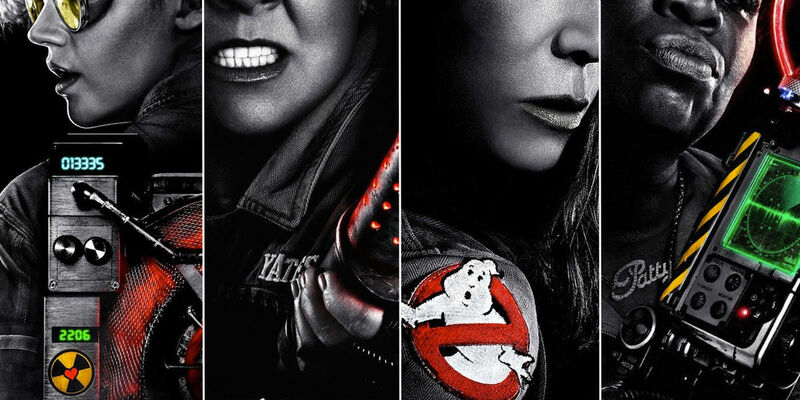 It should come as a relief to fans (and perhaps to the dismay of the troll-happy “GhostBrosters”) Feig delivers a film that’s a worthy successor to the original and is completely superior to ‘Ghostbusters 2.’ ‘Ghostbusters’ tries too hard at times, but shows nothing but love for its cult following while taking winking potshots at its pre-agitated detractors. Not only is this summer movie worth the price of admission, it’s even worth the extra few bucks to have 3D proton beams and projectile slime fly at your face.